Hersheypark is located in the beautiful city of Hershey in Pennsylvania and it's mostly known for their delicious Hershey candy. 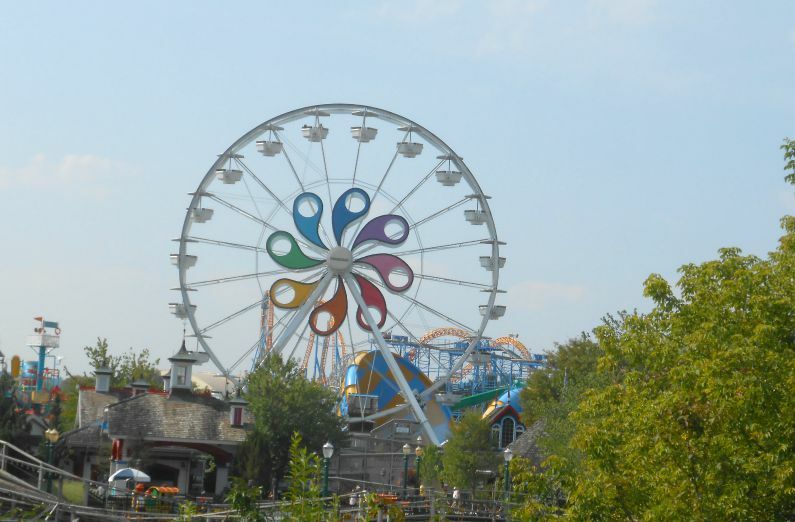 However...Hershey also has a fabulous family-friendly Zoo, great dining places, mini golf, museums, art galleries, the Indian Echo Caverns, the famous Hershey Medical Center and of course...Hersheypark, our famous large amusement park! 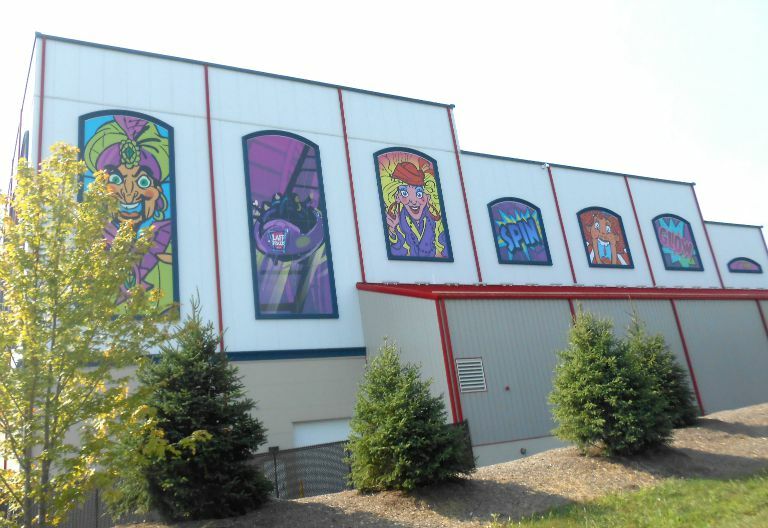 Hersheypark's operating season begins in April (weekends only) and then in June they increase to being open for full weeks and their season ends the end of September although they do hold special events there in the fall. During the holiday season they are open for Christmas Candy Lane and other holiday events that are special for the season. 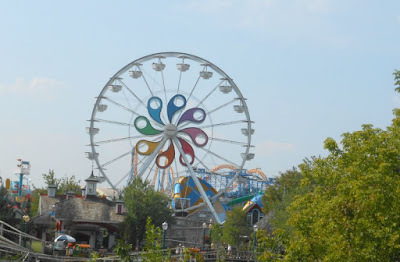 Hersheypark has several hundred rides...you will find really cool and fun kiddy rides, rides for teens and then of course the big rides like the sooper dooper looper roller coaster and several fun water rides and slides. You can check out all of the rides that the park has to offer ---> HERE. Connected to the park is the famous ZooAmerica Wildlife Zoo where you can view some fantastic animal exhibits of North American animals in their habitats. 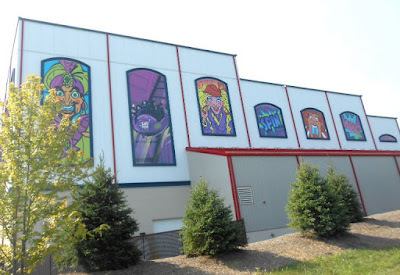 Within walking distance of the park you can visit Hershey Chocolate World which has FREE admission. Within driving distance of the park is the Hershey Outlet Mall, where you can find some fabulous bargains on name brand items and the family-friendly The Hershey Story Museum which is located on Chocolate Avenue in downtown district. Hershey is definitely the "sweetest town" on earth! There are a ton of things to see, do and experience while visiting. The tourist season typically runs from early May through late September but most attractions are open year-round. You can learn more about Hersheypark and everything they have to offer by visiting their site online. You can also connect with them on Facebook and Twitter too.